​Pallet Truck training is designed to protect employees, by supporting the integrated safety features of the pallet truck, and preventing injury through the correct and proper use of the equipment. The correct use of equipment can also have a demonstrable effect on the level of maintenance required, the number of faults that develop and the life of the equipment – all of which can be adversely affected by inappropriate actions. Ultimately, equipment training can significantly increase the efficiency of the kit, whether that be through its more efficient use or fewer accidents as a consequence of untrained individual”s actions. Who are Pallet Truck Operative Training Courses for? This course is aimed at persons working with Pallet trucks. 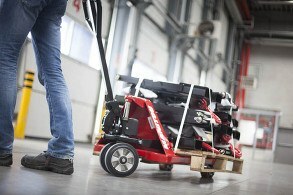 How long does the Pallet Truck Operative Training last?